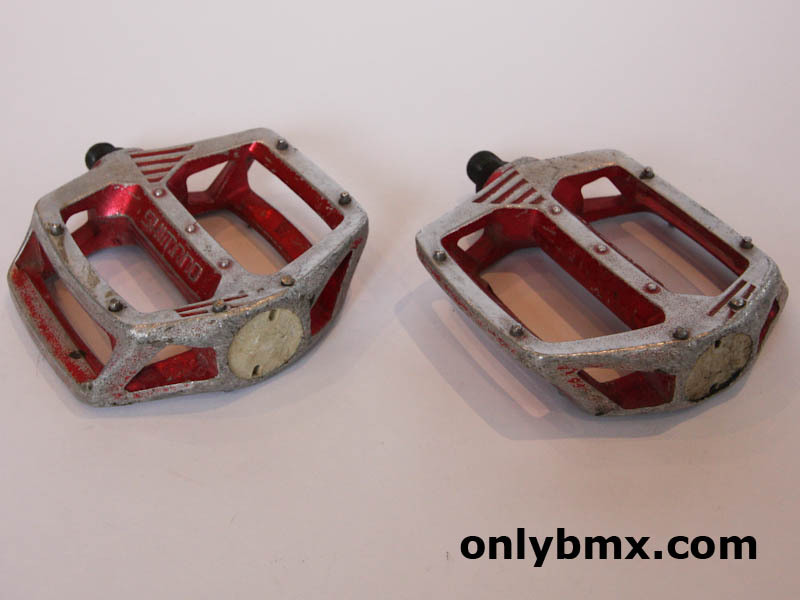 Set of used red Shimano DX pedals. 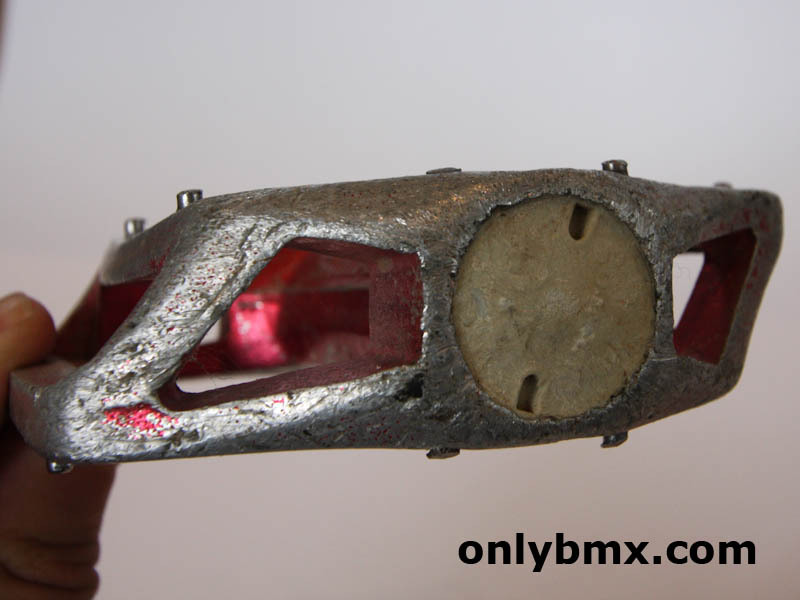 Definitely rider condition so throw them on an old school BMX rider and don’t worry about banging up a more expensive set. 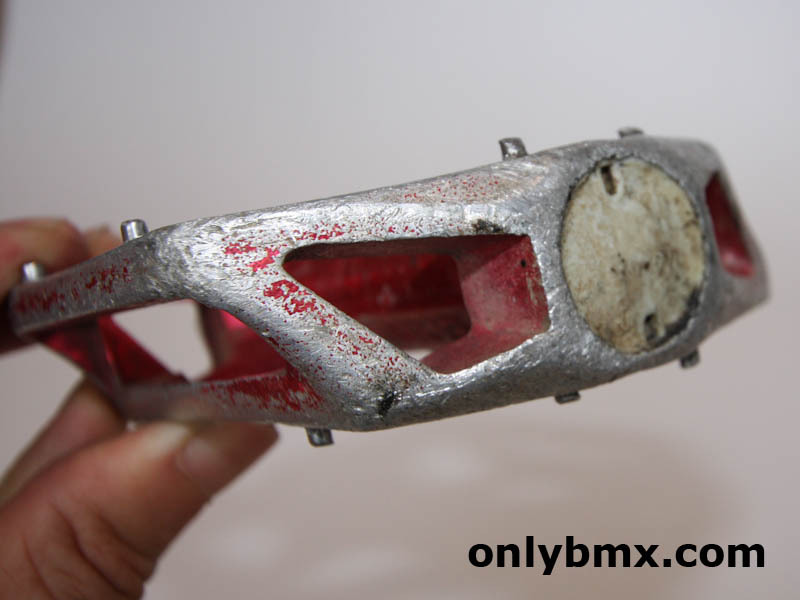 Spindles are 9/16ths so they fit most three piece crank sets rather than the one piece BMX cranks. Pins are still decent and whilst the end caps are original I don’t think I would be trying to remove them. 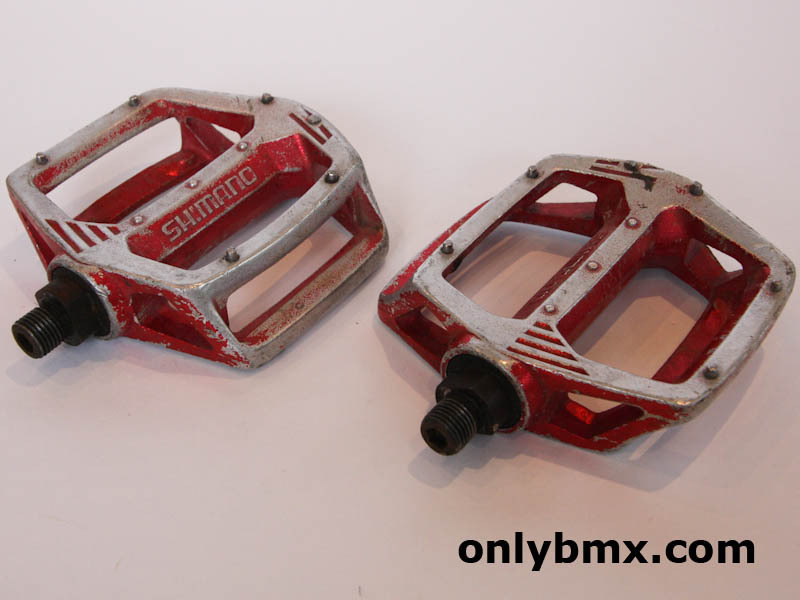 Luckily they still spin well, just as these pedals did from day one.